30.8% ATS! Cavs Have Cost Bettors Big, But Will They Bounce Back? The Cavaliers have covered the exact same amount of games this season as the Orlando Magic have won straight-up: 12. Cleveland is 12-27-1 ATS this season for a return on investment of -39.4%, with bettors losing $1,575 on a $100/game basis. It’s certainly an outlier for a team led by LeBron James, but is it one that will continue for the remainder of the regular season? Let’s take a closer look. Through almost half the season, LeBron and the Cavs are covering the spread at a clip of 30.8%, the worst percentage in the NBA. In 15 seasons in the league, a team featuring James has never finished with an against-the-spread winning percentage below 45% (2016 Cavaliers). Since the beginning of last season, the Cavaliers have been an absolute covering nightmare. 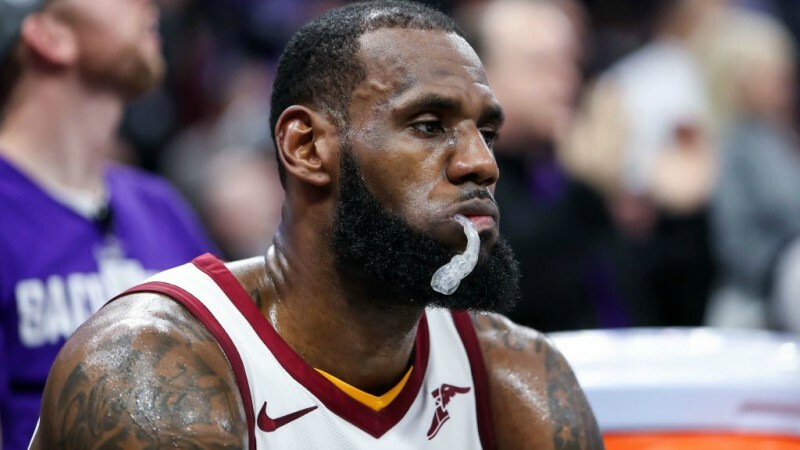 Cleveland is currently twenty-three games below .500, ranking as the second-worst team ATS in the league during that span behind only the Orlando Magic. Why the massive drop-off? 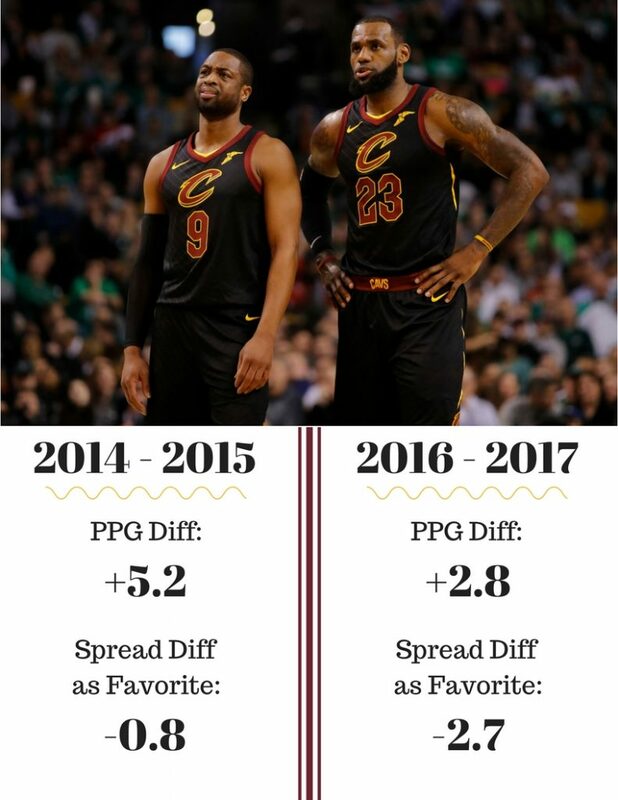 The Cavaliers were projected to be favored in approximately the same amount of games over the past two seasons as they were between 2014 and 2015. The difference is, in general, their margin of victory has shrunk, and, more specifically, they’re performing much worse as a favorite. Through 40 games last season, the Cavaliers were 17-22-1 ATS. That’s more wins than they have this year. But if you try to compare 2016 to 2017, where you find the biggest discrepancy for the Cavs is on their home court. Through 19 games at Quicken Loans Arena this season, Cleveland is 3-15-1 ATS (16.7%). That’s the worst home ATS record in the league, and they’re failing to cover by -6.6 PPG. Through 19 games last year, the Cavs were 10-8-1 ATS at home, covering the spread by almost +2.5 PPG. At this point in the story, we’re compelled to remind you the Cavaliers aren’t bad at basketball. They’re just bad at covering because they haven’t quite lived up to their lofty public perception. At 26-14 overall, they’re just 5.5 games behind Boston, and across the board, Cleveland is still the favorite to play in the Finals by a pretty decent margin. Bottom line: The Cavaliers are 26-14 straight-up and the No. 3 seed in the East. There’s only one other team with a similar discrepancy between its actual win percentage and its ATS win percentage this season: the Warriors.